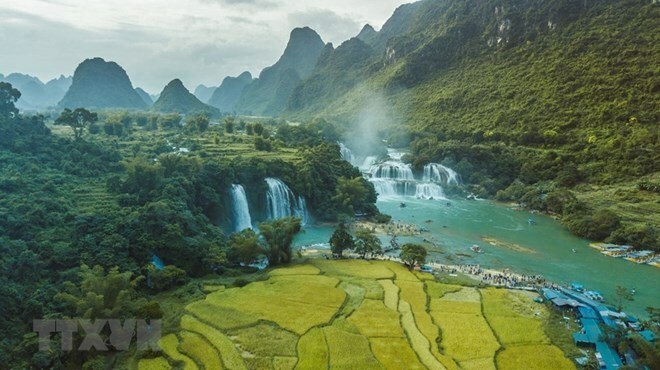 Cao Bang (VNA) – The Pac Bo festival 2019, the first of its kind, will be organised in the northern mountainous province of Cao Bang on March 6. The festival is designed to raise public awareness about the country’s revolutionary cause and history, as well as honour traditional cultural values and promote local tourism. It will include an array of activities, including a water procession and offering ritual at a temple dedicated to President Ho Chi Minh, folk art performances, cake making contest and traditional sport competitions, among others. The event is hoped to help local people restore and conserve traditional cultural values, promote images of the UNESCO-recognised Non Nuoc Cao Bang Geopark, thereby fostering the province’s tourism.